Brent International School Manila is a college‑preparatory institution. Applicants interested in enrolling should apply with passing grades and a history of good behavior at school. Applicants are accepted and retained on the basis of their ability to meet the academic, moral, and behavioral standards of Brent School. The Admissions Committee makes decisions in the best interest of the applicant, as well as in the best interest of the grade level and school. Report cards from the current / recent school. Confidential Evaluations from the current / recent school. English language proficiency. ESL (English as a Second Language) support is available in grades 1‑8. Applicants requiring ESL support in grades 9‑12 are not accepted. Interviews with the applicant. At least one parent is required to accompany the applicant. The Admissions Secretary schedules the entrance test and interview appointments, after the application documents have been received and reviewed. The entrance tests are generally scheduled in the mornings, Monday through Friday. Interviews take place on the same day with the Director for Admissions, Guidance Counselor, and Principal. The Principal shares the final acceptance decision, usually on the same day of the appointments. Entrance tests and interviews must be completed at Brent. All applicants in Kindergarten and above are tested and interviewed, including former Brent students returning after one or more years of absence from Brent. Nursery and Pre-Kindergarten applicants are interviewed, not tested. An applicant is approved for admission and the family pays the U.S. $600 non‑refundable Slot Reservation Deposit and signs the Admission Agreement form within three working days from the family’s receipt of the written notice of acceptance. An applicant meets all admissions requirements and is accepted for admission, but space is not available in the grade for enrollment. The family may choose to pay a refundable U.S. $500 to be placed on our Wait Pool. The Admissions Office will notify the family if space becomes available. There is no guarantee that a space will open since it depends entirely upon if a currently enrolled student withdraws. Names remain on our Wait Pool (only for the academic year accepted for) until a space opens, or the family withdraws the application. It is advised to also seek enrollment at another school to ensure that the student has a school to attend. Space availability can fluctuate on a daily, weekly, and monthly basis. A family might inquire and be told space is available in a grade level, but by the time documents are submitted or on the day of the admissions appointments, be informed that space is no longer available. This can affect families new to Brent as well as families who already have other children enrolled at Brent. Since the Admissions Office has no control over the number of students applying or withdrawing, we appreciate your understanding if space availability changes. We realize that waiting for a space can be unsettling, and we encourage families to share their questions and concerns. An applicant is not approved for admission. 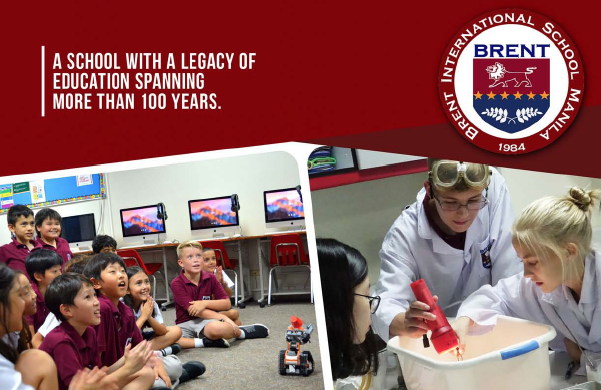 The Admissions Committee is not able to predict success for the applicant at Brent International School Manila, either academically or behaviorally. A mandatory six‑month waiting period is required before a second application. The Admissions Office will keep the original application materials, and there is no need to pay the application fee if admission is sought within one year of the initial application. New academic records, confidential evaluation forms, and entrance tests are usually required for the second application. The Student Services Program at Brent International School Manila is designed for students with mild needs. Students in our program should function in and benefit from the regular curriculum with minimal extra support aimed at bridging any gaps between a student’s abilities and the classroom expectations. Applicants in need of support are considered on a case-by-case basis. The decision to accept and retain a student needing support is based on space availability in our program and our ability to meet the needs of the student–while ensuring the regular classroom environment is maintained. Brent’s Resource Teacher Form should be completed and emailed to the Admissions Office. The Admissions Committee reviews applicants with learning needs August – May (excluding holidays). Since space in our Student Services Program is limited, it is advised to also consider other schools. The International Baccalaureate (IB) program is an internationally recognized and externally examined diploma program. It consists of two-year courses spanning over grades 11 and 12. As a result, it is rare to accept a new IB student into Brent’s grade 12. If a course schedule can be made that predicts the graduation requirements can be met, then going forward with scheduling tests and interviews will be recommended. Significant extra communication is needed due to course offerings that might conflict between IB schools, and this communication can only take place when Brent’s IB teachers are available, August – May (excluding holidays). A detailed list of topics covered in each grade 11 IB class. The syllabus for each class might be sufficient if it shows which topics were actually covered. The student might compile the topic list, or the student might ask each teacher to compile a list of the topics covered. Information on any progress made on the Extended Essay (EE). Students are expected to live with at least one parent while enrolled at Brent. Please inform Admissions if your family has a special circumstance that needs discussed. One parent must be present on the day of the admissions appointments.